Just because we are in the middle of the winter season, that doesn’t mean you can’t have an assortment of fresh herbs in the house. This is the perfect time of year to grow indoor herbs. Indoor gardening is an activity that you can get the entire family involved with, and it’s not only good for you, it’s good for the environment. Just think how nice it would be to have fresh herbs on hand without having to step out in the cold winter weather! Here are 5 easy-to-grow herbs that thrive during the winter months. When you first start out trying to grow fresh herbs, I recommend you begin by trying to grow from seedlings rather than planting your own seeds. These great little starter plants are widely available in grocery stores or nurseries. For the same price as a packet of fresh herbs from the produce section, you can buy your own little starter plant. That is how we keep fresh herbs on hand, and we are so fortunate to have some incredible nurseries close to Big Canoe. 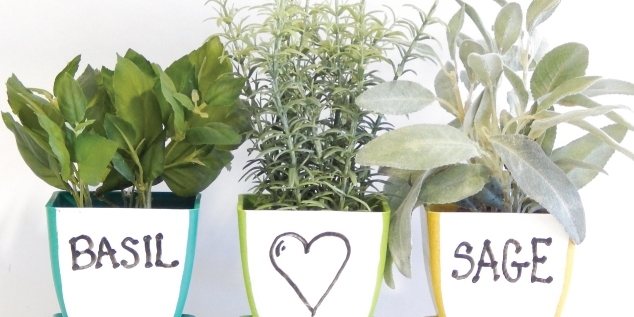 Don’t treat your herbs like houseplants, watering once per week. Instead, water a moderate amount every day. Be sure to prune the herb often, and you’ll want to cut just above a set of growing leaves. Making your first trim approximately 3-4” above the soil produces a nice sturdy plant. Once your plant is big enough to sustain a decent harvest, be sure to cut leaves from the top, as you have been when you were pruning. That way you get all those tender new herbs that are so tasty, and your plant gets to keep its heartier leaves and stems in place. Follow these tips, and you’ll be touting a green thumb in no time!